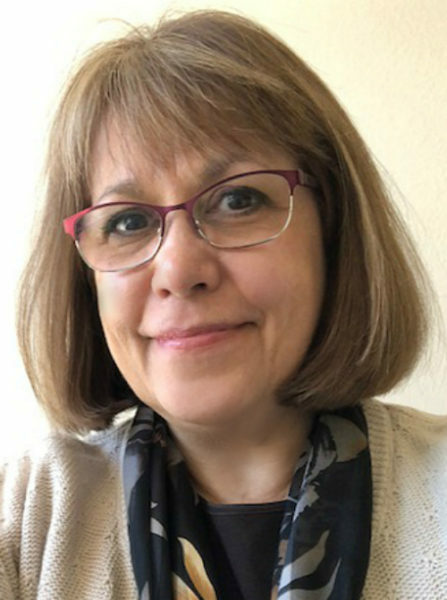 I’m excited to give a warm welcome to Tina Radcliffe, an author who has been a mentor to countless beginning writers, including me. She helped me so much! Today she’s going to talk about heroes, so I’ll turn it over to her! As writers, I believe we have some of the same responsibilities to our readers. Alpha: The type-A personality, stubborn, hard as ice, take charge, leader. Beta: The nice guy, boy next door. He’s a nerd on the outside, but he’ll take off his Clark Kent glasses when he’s against the wall. Delta: The dark and dangerous hero. Typically, a damaged hero who exiles himself from society and takes on loner/outlaw status. Theta: the wounded hero. They are creatives and their way of dealing with pain is to create with it. 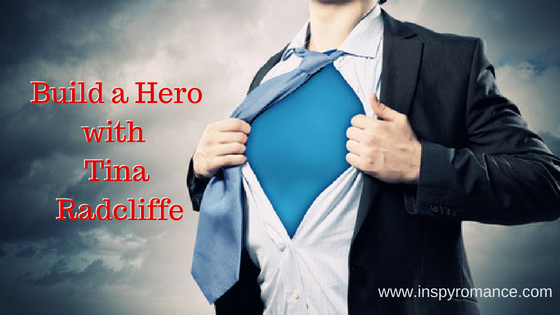 And a writer of inspirational romance I include these characteristics when I build my hero. I tend to write a hero who is a bit of an underdog, and a reluctant hero. While he may have a layer of charm and machismo, he is still a down on his luck sort of guy (emotionally) searching for completion. A sense of humor is on the top of my list for all my heroes. However you define your hero or whether he is Thor, Captain America or Han Solo, Joseph Campbell laid out the path he must take in The Hero With a Thousand Faces, further clarified in Christopher Vogler’s The Hero’s Journey. Meeting with the Mentor – The hero meets a mentor to gain advice or training for the adventure and to get them past their fear of the adventure. Crossing the First Threshold – The hero crosses leaves the ordinary world and goes into the special world. He has committed to the adventure. Tests, Allies, Enemies – The hero faces tests, meets allies, confronts enemies &amp; learn the rules of the special world. He is training for the final test. Ordeal – The biggest life or death crisis. Facing his biggest fears. Reward – The hero has survived death, overcomes his fear and now earns the reward. The Road Back – The hero must return to the Ordinary World with increased urgency. Resurrection Hero – The final test, the hero has to use everything he’s learned. No matter what plotting method you use, the bottom line remains the same, what makes a hero is his acceptance of the call to adventure and overcoming trials in a way that requires courage and sacrifice. Our hero also grows and evolves and becomes a better version of himself in our stories. Looking like Chris Hemsworth (with a sense of humor) is a plus too! If you’re a writer, tell me how you build the perfect hero. If you are a reader what defines your perfect hero, the kind who remains in your heart and on your keeper shelf…forever! Additionally, Tina has a new initiative launching this month. The Writer’s Inside Edition is a once a month newsletter for fiction writers of all levels that brings you curated links to: The best publishing news on the web. Contest, conference & workshop listings. Writing opportunities scoured from the web and inside sources. First notification of enrollment in her workshops and classes. Monthly writing world articles created just for the Inside Edition Writers. Critique opportunities and writing challenges. Best of all, there is no charge, and it’s free from annoying promo. Sign up here. Wow! Thank you, Tina! I need to check out this novel and The Writer’s Inside Edition! Thanks for the kind words, Janet! I watched that Chris Hemsworth video again for the 50th time! I love it. It kinda scary that spellcheck knows how to spell Hemseoth. You’re welcome, ha! You always make me laugh! A book hero that really stands out in my mind is Moshe from Brock and Bodie Thoene’s Zion Series. Ahh, dreamy! Strong, noble, courageous, gentle, patient…I first read this series as a teenager and Moshe has stuck in my mind ever since!! Gosh, you’ve gone and done it, Wemble. Made me add another book to my TBR. Well done! Oh, that does sound dreamy! My ideal hero is a man who has high morals, can admit his weaknesses, and makes his girl feel like a princess, and puts God above and throughout all. Hi Sherri! I agree with all of that and raise the stakes by adding the gift of humor. Happy Friday. That does sound like a hero! Hi Janet and Welcome Tina! Thanks for the informative insightful blog about heroes. Not sure I have a hero that comes to mind. Best wishes and happy writing. Thanks, Renate and thanks for taking the time to comment. May your TBR pile never be short. Hi, Renate! So many heroes to choose from, ha! Tina! Mentor extraordinaire!!! Ditto what Janet said. Love this post! The heroes I’ve written so far (contemporary and historical) have similar personality types – a combination of Alpha, Beta and Delta. The main quality they share is a sense of humor – very important to me. In fiction and everyday life. Thanks for such a fun post! 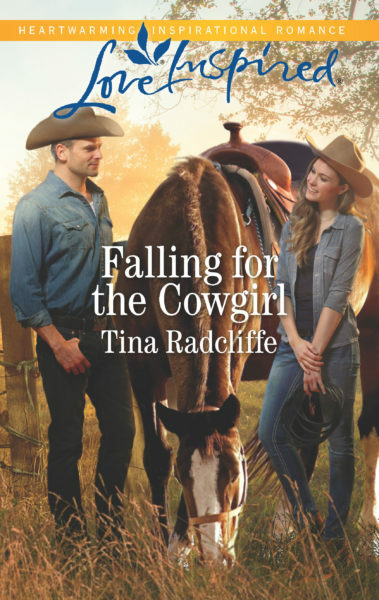 And congratulations on the release of Falling for the Cowgirl! Well, I knew we would be hero-like-minded, Laura. I so agree. A hero without humor is like a day without sunshine. Watch the Chris Hemsworth video!!! Hi Laura! Isn’t Tina wonderful??!! I love a good sense of humor! Thanks for stopping in! What an amazing insight into the hero types!! I loved learning what “my” types are…..!! Hi, Paula Marie. Love your name. I’m a Tina Marie. Thanks for the sweet words and for taking time to stop by and comment. The kind that remains in my heart is my kind of hero. Amen to that, Kim Hansen. Sigh and Swoon!!!! I like a here like Thor except the whole macho man stupidity from the beginning of the first movie. but I’d also add God-loving personality. Yeah, the first movie was not my fav, Priscila. He got funnier and funnier each movie. Loki isn’t a slacker either. I like variety when I read, so I like all types of heroes. Have a great day! Now you make an excellent point. They should be varied. An M&M variety of literary heroes. If they’re written well, they’re great, right?! I love an alpha male who is a rescuer, but tough, will save kittens and fight bad guys too. Yes! Almost as good as a Beta male who takes off his glasses and his great pecs. Gotta love some kittens!! I end up with a lot of pets in my stories! 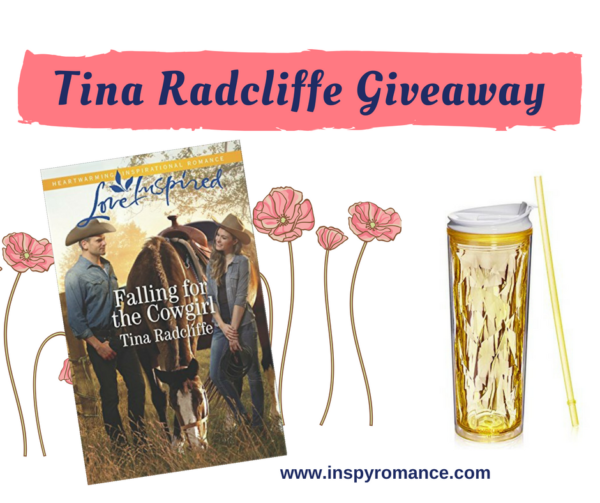 Welcome back to Inspy Romance, Tina! Good to have you here. I generally prefer a beta hero since I can’t stand a know-it-all man! Yeah, I’m a Beta boy lover too, Val. Thanks for the welcome. Delighted to be here. My tastes change in story heroes. My hero at home, I keep the same, ha! My hero’s tend to be a combination of the nice guy wounded guy type, but they have an edge to them, because of their wounds. It was fun to see all the hero types, Tina. I hadn’t heard of some of them. I’m a Thor kind of gal too. I miss his hair. Thor is an Alpha with some Beta qualities to me. See you at RWA or ACFW this year?? Ooo, I love a wounded hero! What a great post Tina and Janet! No matter how much research I do, while writing the story I imagine the hero as my husband. It’s either corny or romantic, but it’s the way I am. Have a great weekend, and happy 4th of July! That is totally soooooooooooooo swoony, Jackie! Jackie, This only confirms my belief you are one of the sweetest people ever!! My favorite hero is one who is not good looking enough to know it. Yeah, the slightly distracted, doesn’t know he’s hot Clark Kent is a real hero!!! Oh sweet! I love that! My perfect hero loves God & family, is honest and loving. Hi Lucy! That is perfect! Hi Margaret! Oh, I bet he’s a sweety! Tina, this post is excellent…a keeper! not some much a bad boy, but a moody guy. As a reader, my favorite heroes are self-sacrificing men….like Travis in Falling for the Cowgirl. Thanks for a great lesson in hero-writing! Tina is a great teacher!! I tend to write Betas and Deltas. And Travis says thank you. loved by little old ladies, small children and animals. Guess that’s one reason I enjoy your books so much! Oh how wonderful! Yes, you are blessed! Hey Tina, so good to see you here…..makes my weekend more fun! One of my fave authors!!! Don’t enter me….read it and loved it and doing a review on A. soon! Keep up the great writing! Hi Jackie! You are the kind of friend/reader authors love! HI to my buddy, Jackie!!! Thanks so much for reading it already! Great post!i tend to love Alpha heroes-men who take charge and know what they want. I do love me a man with a sense of humor. Looking forward to reading your book! I’m signed up for your writer newsletter. Hi Sherrinda! I love a sense of humor, too! Oh, Francine writes some really great heroes!! Atretes was definitely alpha and a good one! You do write Alpha’s don’t you, Sherrinda. And hunky ones too. Love the chance to examine the hero! I’ll take several. LOL, Anitra! Thanks for coming by! Hi Tina! This is such a great post. I tend to write a take on the beta or theta hero. I like my heroes to be strong but vulnerable and kind (deep down). Looking like Chris Hemsworth is a plus but my heroes tend to have dark and eyes. Hmm, I’ll have to ponder why. Thanks for sharing your words of wisdom with us! Yeah, Chris is a plus no matter what kind of hero you write. Thanks for taking the time to stop by!! Hugs to you. I didn’t realize there was so many types of heroes. I loved the article. I definitely have a preference when reading but I am learning how to choose the heroes I admire based on their character. Character is the main thing! Thanks for chiming in! Hi Attennos39. Thanks for stopping by. Yes, I agree and as Janet said earlier, our hero taste changes over the course of our heroine-ish lives. Not sure if I have the perfect hero in mind but the heroes are memorable when the books are memorable and if I can relate to them. Heroes!!! We all need a hero or two in our lives. Your book sounds like a wonderful read. I admire many people… but a hero to me, is one person or persons who go out of their way to make sacrifices, change their lives for the better and or care for those they love most!! Great way to put it! Like our Hero Savior! Thanks, so much Andrea. I like your definition!! Father Tim from Jan Karon’s Mitford xeries is coming to my mind. He’s not really a typical hero but I love how he works so hard to love his family and friends well and help out his neighbors. Yes, he’s a fun hero! Jess! Do you know I have not read the series yet? Must correct this. Thanks so much for stopping by!